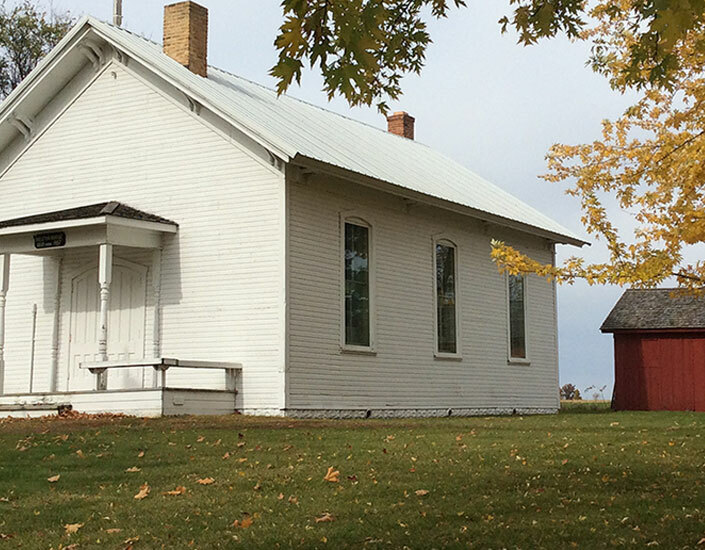 Skeleton Bridge School is a one room school house that operated from 1858 to 1956. Skeleton Bridge School was named after the bridge that crosses the nearby Skeleton Creek, thought to be so named after bones were found there. It contains many artifacts from the days when it was in use, including many old desks, a Victrola, and a working piano. Hanging on the walls you will find old teacher contracts and a painting signed by the children that was purchased after the community donated scrap iron to buy it. The well pump still stands outside near the 110 year old “triangle tree”, so named from a graft attached to it when it was a sapling. It was auctioned off in 1957 when Winneconne Consolidated School District was formed and it is now privately owned.